The rise of modern neuroscience has revealed numerous insights into the mechanism of learning; of the fundamental changes to the brain that occur and how they relate to different stages of learning. If we use these insights to give credence to our learning strategies- complementing the finding of other fields- we can help to build a more holistic notion of what happens to us while we learn, and how to maximise our learning potential. The key idea is that through learning, we are actually changing the state and the structure of our brains. And in order to learn most effectively, we need to be in a state that can best form new neural connections (i.e.neuroplasticity), and can best generate new neurons (neurogenesis). Research into neurogenesis is ongoing but the major consensus is now that in the hippocampus – responsible for memory, learning and emotion, neurogenesis can continue, generating new cells throughout a person’s lifetime. There’s a lot that can be done to promote neurogenesis; exercise and nutrition have all been shown to have positive effects on neurogenesis and cognition in general, and adequate sleep helps maintain neurogenesis while reducing cortisol levels. What also helps is that these activities will often boost our mood and lower our stress levels (through regulating dopamine and cortisol), which improves our learning further. 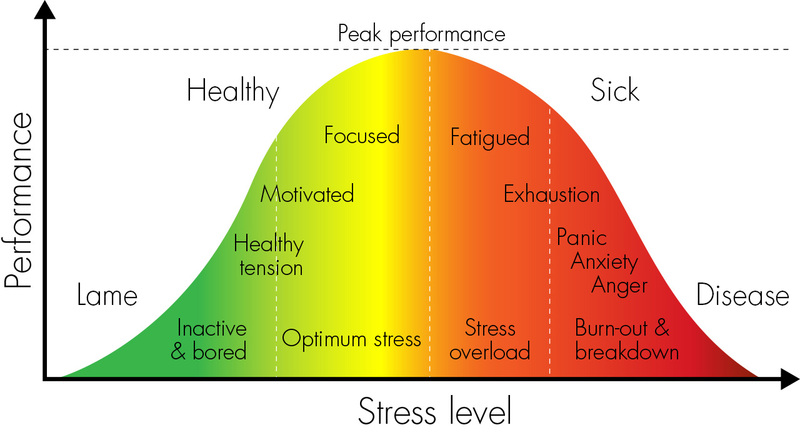 A little goes a long way with regards to stress and learning, as studies show in order to reach optimum performance we need a little cortisol- which is released in response to stress – but not too much. If you’re too stressed out you’ll end up doing worse – when it comes to stress, less is more. This kind of moderate stress level can however be easily achieved; listening to music, challenging material, and active learning methods can all be used to this purpose. So on a neurological level, the most effective way to learn involves consistently building strong neural connections. Moderate stress and healthy lifestyle habits have been shown to help ready our brains to learn. Now that we’re fully primed to make full use of all our new found neurogenesis and neuroplastisity we’ll focus on the learning part. Active Learning is any learning that engages and challenges the student, it can include the use of analysis, discussion or anything that goes beyond passively listening. Active learning is beneficial in this sense as it involves a greater number of neural connections and neurological cross-talk, which helps to strengthen those newly formed neural connections and those newly learnt memories. Numerous studies have been conducted on the topic of active learning, with a nearly unanimous agreement in favour of it’s positive affects. This remains for learning facts or ‘declarative’ knowledge and persists for learning how to do things or ‘procedural’ knowledge. It has shown to help for medical students and STEM majors alike. The mechanism of active learning is also thought a leading reason behind the incredible effectiveness of learning methods such as retrieval practise and other general learning methods. Whether you see learning as connecting ideas or creating neural connections, being actively involved in the process will give you the best results. Get Engaged. Get Focused. Really sink your teeth into whatever you’re learning, whatever learning method you use – you’ll find your subject easier, and maybe even a little bit more fun.